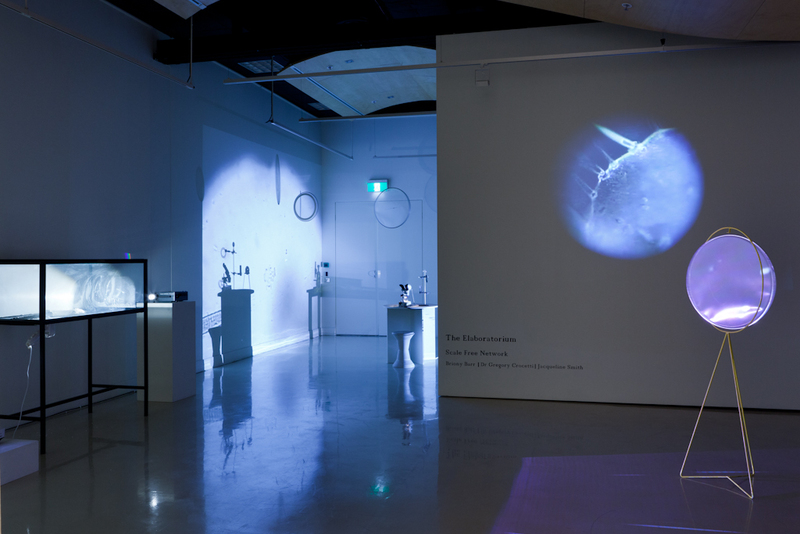 Curated by Mellissa Kavenagh at The Counihan Gallery in Melbourne, The Elaboratorium was SFN’s first solo gallery show, and the first time our microscopic footage was shown outside of a workshop context. 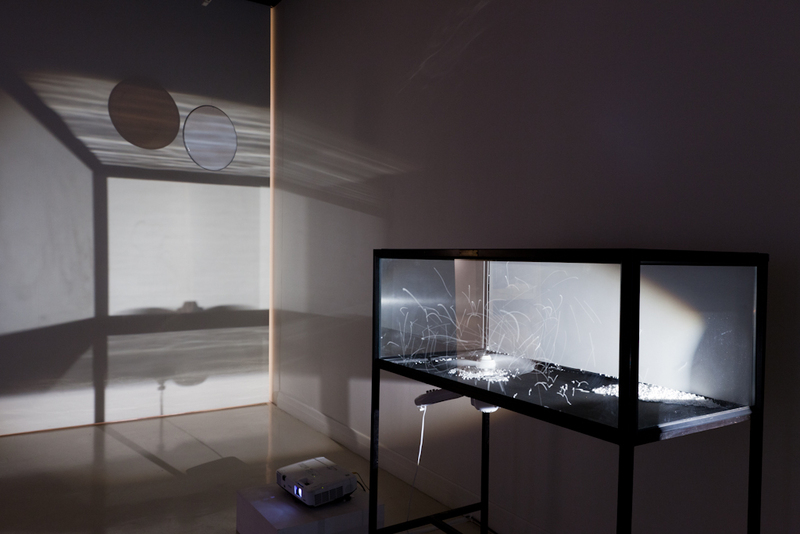 New kinetic work, the ‘Particle Chamber’ was created especially for this exhibition. 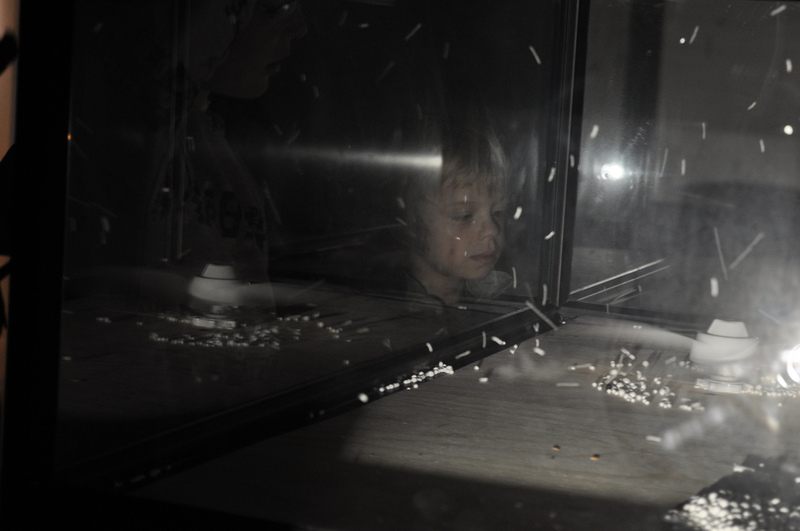 The Elaboratorium provided an opportuntity for SFN to reframe many of the themes, concepts and content that we had developed over many years of running educationally focused workshops and participatory installations. 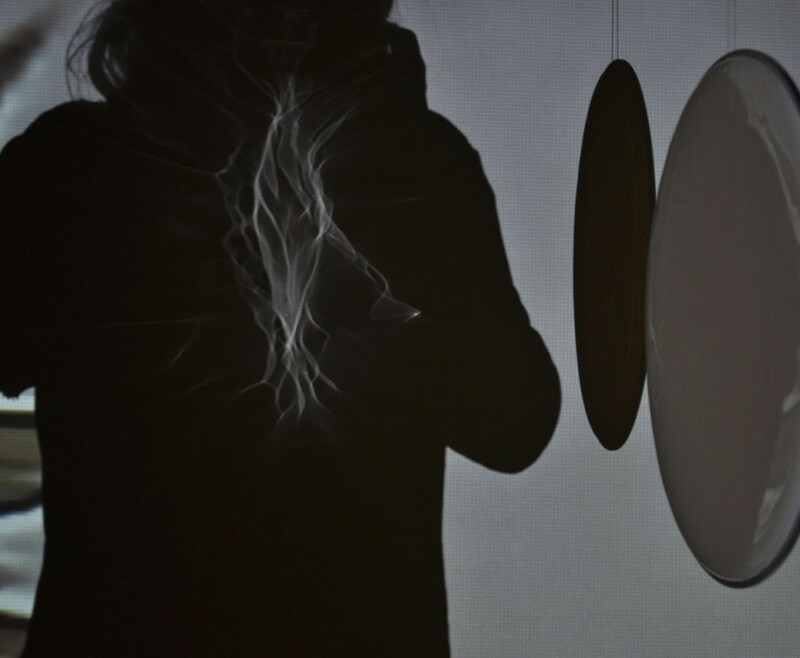 Scale Free Network is interested in visualising the hidden worlds that exist all around us, out of reach of our human vision but very much a part of this complex world. 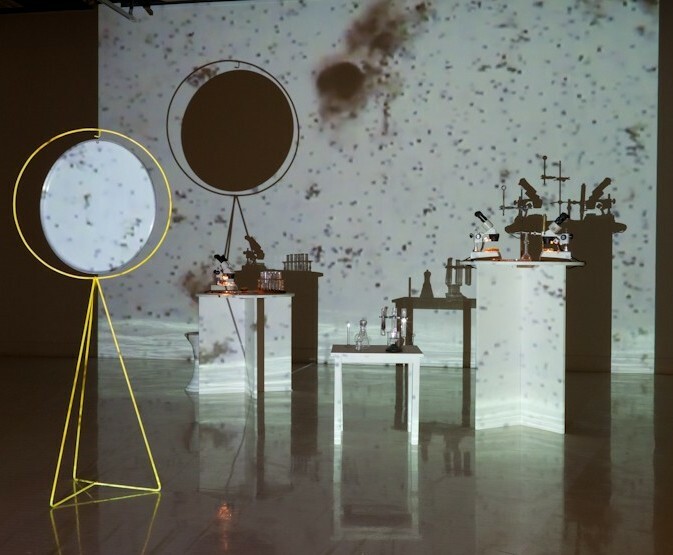 The Elaboratorium is full of tools for viewing and magnifying, drawing attention to the connections between large and small, and reflecting on the act of observation itself. Where will you focus your attention and what connections will you make? Since 2008, SFN has recorded footage from droplets of water, collected from different locations in Australia and recorded using a specialised microscope camera. 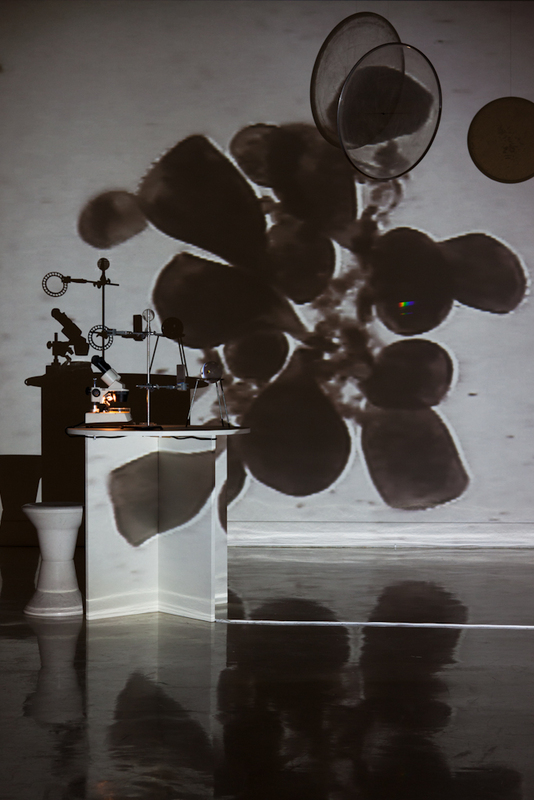 The projected footage in The Elaboratorium shows a selection of this footage and reveals some of the diverse and delicate life forms at this scale (100 – 400x magnification), hidden in ponds, puddles and creeks absolutely everywhere. 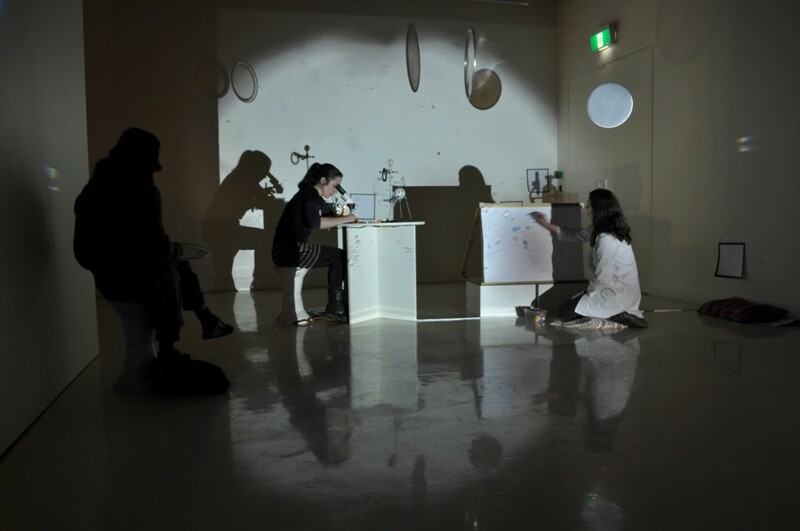 As part of The Elaboratorium at Counihan Gallery, Scale Free Network is running a series of workshops where people are invited to bring in samples to look at through the microscope, as well as work in the space to make drawings. 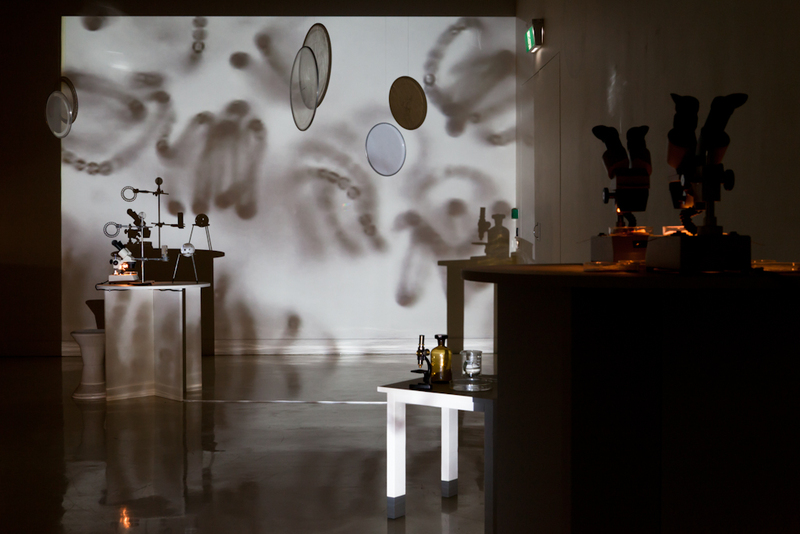 In this sense, the installation can be thought of as a place for experimentation and observation, activated through use. 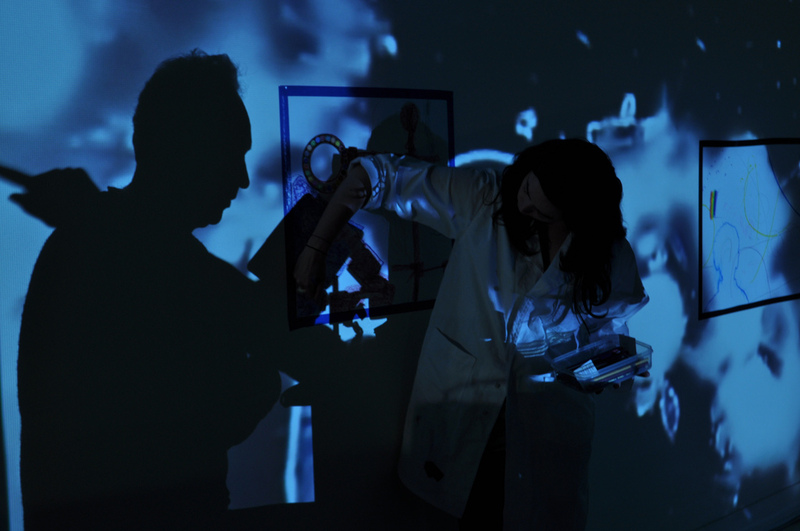 As the word Elaboratorium suggests, it is like a laboratory: made for investigation and elaboration on ideas, but with no clear division made between creative or scientific application. It’s all connected. The Elaboratorium (Valensi Score) from scale free network on Vimeo.